Highlights this week are social double Horse Friday and compassionate Sheep Saturday. Relationships could be challenging on green Dragon Wednesday and gold Monkey Sunday. Mon Jan 26 is Water TIGER (black Tiger) day. Tiger day in Horse year is fortunate because Tiger and Horse are best friends, along with Dog. Now is the first quarter Moon, the waxing half Moon, a time for balance. The Moon sextiles Venus and Neptune to follow feelings and be instinctive like a Tiger. A conjunction of Moon, Venus, and Mercury brings creativity, self expression, and compassion. But Sun conjuncts Mercury to see just your own viewpoint, and people prefer to talk not listen. Tiger day luck strong for Tiger, Dog, Horse, and Pig. Tiger hours 3 am – 5 am. Tues Jan 27 is Water RABBIT day. Moon sextiles Mars and trines Pluto bringing courage to this mild Rabbit day. And emotions are strong so people will not back down from commitments. Mercury sextiles Uranus for an element of genius on creative and sensitive Water Rabbit day. But Moon squares Mercury and Jupiter so it might not be easy to communicate deep feelings. Decisions are made from the heart, not the mind. Just don't sign contracts that cannot later be changed during this Mercury retrograde cycle that ends February 11. Rabbit day luck strong for Rabbit, Sheep, Dog, and Pig. Rabbit hours 5 – 7 am. Wed Jan 28 is Wood DRAGON day. Moon squares Venus and is opposite Saturn so relationships could be tested today. It's easy to be irrational and hasty with others. Plus Saturn square Neptune can bring confusion and uncertainty. The ongoing Uranus square Pluto can seem chaotic so stay steady! If there are arguments, seek opportunities for growth on a Wood day. Dragon day luck strong for Dragon, Rat, Snake, and Monkey. Dragon hours 7 – 9 am. Thurs Jan 29 is Wood SNAKE day. The Moon trines the conjunction of Sun and Mercury to relate well to others, and brings an easier flow in life. But the Moon also squares the conjunction of Mars and Neptune, and the Moon continues to oppose Saturn so relationships could be tested and people could feel suspicious, not knowing who or what to trust. It's best to keep insights to yourself on a Snake day instead of speaking your mind. Fortunately, the Sun, Moon, and Mercury all sextile Uranus for insights, help from old friends, and new discoveries and observations. Snake day luck strong for Snake, Ox, Dragon, and Phoenix (Rooster). Snake hours 9 -11 am. 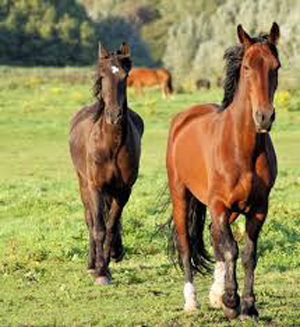 Fri Jan 30 is double HORSE: Fire Horse day in this Wood Horse year. Mars sextiles Pluto for strength and courage that enhances Horse's natural bravery. Sun is opposite Jupiter so have a fun time instead of analyzing problems. Cultivate Horse' s easy optimism and sunny disposition tonight with a celebration! But people might feel Venus square Saturn bringing difficulties in love, and a relationship could cool off. Double Horse day luck strong for Horse, Tiger, Sheep, and Dog. 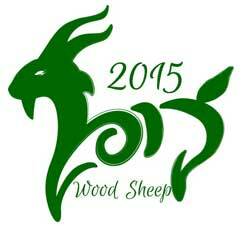 Sat Jan 31 is Fire SHEEP day. Venus conjuncts Neptune bringing spirituality and selflessness, two positive Sheep traits. Creativity is inspired, although one could get lost in daydreams. The Moon trines this Venus and Neptune conjunction for pleasant feelings, nice camaraderie, and increased empathy for others. An artistic day that is fortunate for social times, decorating, and feng shui improvements. Sheep day luck strong for Sheep, Rabbit, Horse, and Pig. Sheep hours 1 – 3 pm. Sun Feb 1 is Earth MONKEY day with a lot going on! Moon squares Uranus and is opposite Pluto bringing the desire for independence and rebellion. Encounters might not be harmonious, people want excitement, and it's easy to jump to the wrong conclusion. Venus continues to square Saturn and people can feel it now, making relationships run hot or cold. Venus continues to conjunct Neptune bringing artistic expression and golden Earth Monkey charm, but Saturn square Neptune can bring confusion. The ongoing Uranus square Pluto brings out the mercenary in Monkey, a law unto oneself. Monkey day luck strong for Monkey, Rat, Dragon, and Snake. Monkey hours 3 – 5 pm. Keep the peace with my Love and Money Feng Shui Report at http://bit.ly/1yAu03I.